I know, just last month we declared this guy to be the undisputed king of "beard glory." However, that's because we never imagined a ramen bowl made of facial hair to be possible, much less functional. That being said, Misled Cincinnati has officially been dethroned and replaced by Mr. Incredibeard. 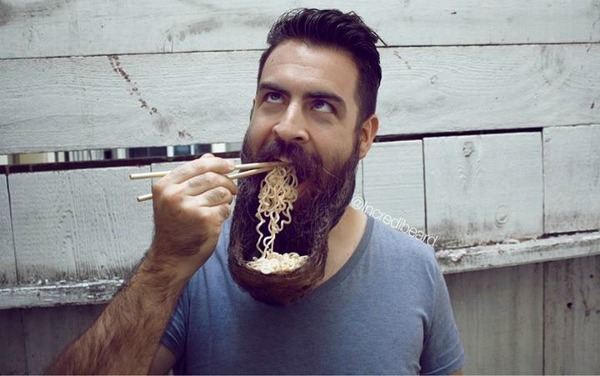 With the help of his talented wife (and a seemingly infinite amount of facial hair), Incredibeard was able to shape his beard into a portable, leak-proof ramen bowl. 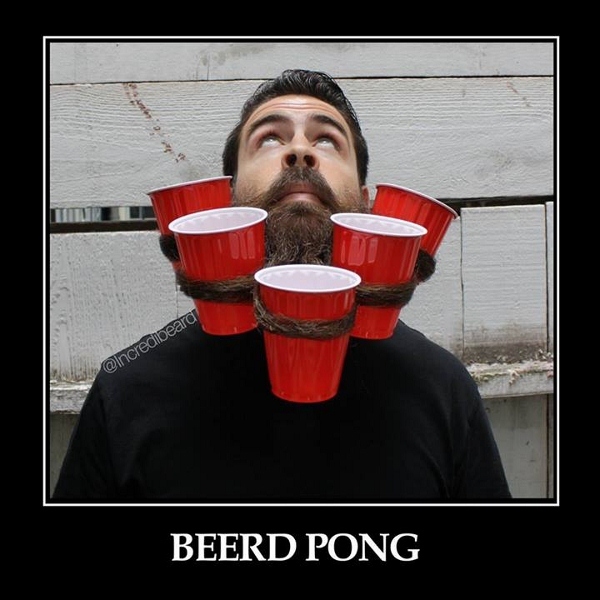 He also specializes in the obligatory beer beard. If you just can't get enough, check out his Facebook page, where he features new beard swag every week.